Abbo or Abbon of Fleury, also known as Saint Abbo or Abbon, was a monk and abbot of Fleury Abbey in present-day Saint-Benoît-sur-Loire near Orléans, France. Saint Arnulf of Metz was a Frankish bishop of Metz and advisor to the Merovingian court of Austrasia, who retired to the Abbey of Remiremont. In French he is also known as Arnoul or Arnoulf. In English he is known as Arnold. He is claimed to be a direct descendant of Flavius Afranius Syagrius, being a rare case for descent from antiquity. Abbo Cernuus, Abbo Parisiensis, or Abbo of Saint-Germain was a Neustrian Benedictine monk and poet of the Abbey of Saint-Germain-des-Prés in Paris. He was born about the middle of the ninth century. Oswald of Worcester was Archbishop of York from 972 to his death in 992. He was of Danish ancestry, but brought up by his uncle, Oda, who sent him to France to the abbey of Fleury to become a monk. After a number of years at Fleury, Oswald returned to England at the request of his uncle, who died before Oswald returned. With his uncle's death, Oswald needed a patron and turned to another kinsman, Oskytel, who had recently become Archbishop of York. His activity for Oskytel attracted the notice of Archbishop Dunstan who had Oswald consecrated as Bishop of Worcester in 961. In 972, Oswald was promoted to the see of York, although he continued to hold Worcester also. Rambervillers is a commune in the Vosges department in Grand Est in northeastern France. 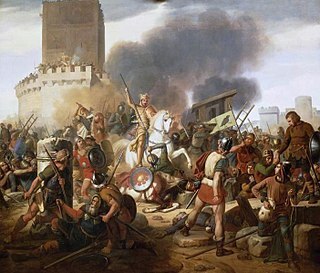 The Siege of Paris of 885–886 was part of a Viking raid on the Seine, in the Kingdom of the West Franks. The siege was the most important event of the reign of Charles the Fat, and a turning point in the fortunes of the Carolingian dynasty and the history of France. It also proved to the Franks the strategic importance of Paris, at a time when it also was one of the largest cities in West Francia. The siege is the subject of an eyewitness account in the Latin poem Bella Parisiacae urbis of Abbo Cernuus. The Bishopric of Verdun was also a state of the Holy Roman Empire; it was located at the western edge of the Empire and was bordered by France, the Duchy of Luxembourg, and the Duchy of Bar. 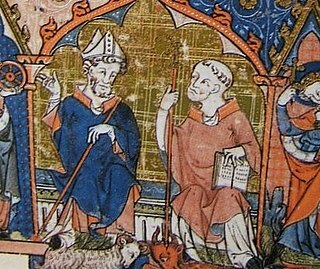 Goeric of Metz, also known as Abbo I of Metz, Goericus of Metz, and Gury of Metz, was a bishop of Metz. He is venerated as a saint in the Eastern Orthodox and Roman Catholic Churches. Abbo of Auxerre was a Benedictine abbot and bishop of Auxerre. Walchunus was a bishop, presumably of the Diocese of Maurienne, circa 739. When Abbo, the saecular rector of the region of Maurienne and Susa and later Patrician of Provence, founded the Abbey of Novalesa on 30 January 726, he put it under the Benedictine rule and independent of the local bishop, that of Maurienne. When he drew up his will thirteen years later (739) he directed that Novalesa should come under the protection of Bishop Walchunus. This action did not place Novalesa under episcopal authority; it merely recognised the saecular stature of the bishop in the region. The role of protector of the monastery passed in the later years of the century to the ruling Carolingians, who also confirmed its independence of the bishop. Abbo was the bishop of Soissons from 909. Throughout his episcopate, he was "under the thumb" of Count Herbert II of Vermandois (907–943). Promulgation in the canon law of the Catholic Church is the publication of a law by which it is made known publicly, and is required by canon law for the law to obtain legal effect. Universal laws are promulgated when they are published in Acta Apostolicae Sedis, and unless specified to the contrary, obtain legal force three months after promulgation. Particular laws are promulgated in various ways but by default take effect one month after promulgation. ↑ Guy Halsall (2002-09-05). 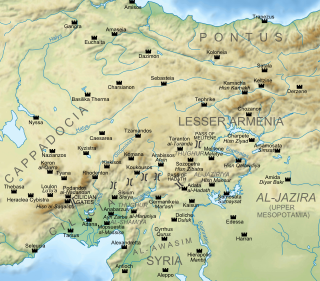 Settlement and Social Organization: The Merovingian Region of Metz. Cambridge University Press. p. 16. ISBN 978-0-521-52189-5. Frederick George Holweck was a German-American Roman Catholic parish priest and scholar, hagiographer and church historian. Monsignor Holweck contributed a number of articles to the Catholic Encyclopedia.